Eurohold focuses on Corporate Finance and does not enter into any other activity that could potentially conflict with its core business. The founding Partners and the key Managers of the Firm own the capital, which also prevents potential conflicts of interest with shareholders wishing to enter into competing or collateral businesses. 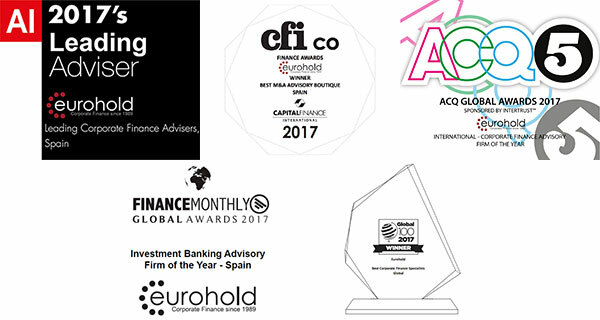 Eurohold provides its clients with a full range of Corporate Finance services throughout the transaction process (design, structuring, valuation, documentation, negotiation, supervision, closing in a notary’s presence, etc.) ensuring full confidentiality. Therefore, the client can remain focused on their business whilst the process is optimized both in terms of time and quality. Eurohold is particularly focused on long-term and quality relationships with its clients. 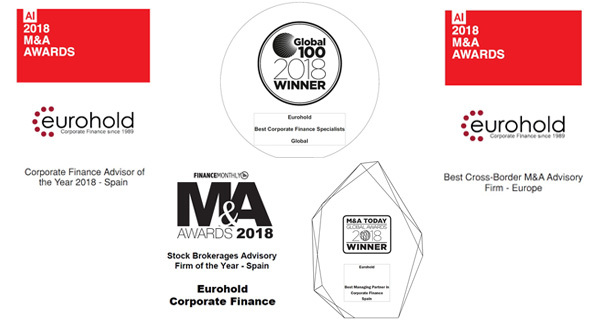 Thanks to a deep mutual knowledge and understanding of clients’ interests, Eurohold can support them during the various stages of growth and assist them in defining, structuring and executing the most appropriate corporate operations. Eurohold’s multiculturalism lies in the variety of the team member’s education (Economics, Business, Engineering and Law), their languages, and origins (Spanish, French, English, Catalan, Japanese, German, Dutch, Russian, Ukrainian, Bulgarian, Chinese, Turkish, etc. ).